Have you had your eye on a brand-new Chrysler 300 sedan or Chrysler Pacifica van? Consider a Chrysler lease in Salem, OR for your next Chrysler new car or passenger van. Leasing a Chrysler from Roberson Motors is the smart way for drivers in Salem, Oregon to get into a brand-new Chrysler vehicle. Because leasing often ends up costing less per month than a traditional auto loan, you can start dreaming about all those premium features and upgrades. Plus, leasing saves you money when it comes to dealing with emergency repairs, routine maintenance, and other issues that come with ownership. If you have any questions contact out auto financing experts today! At Roberson Motors in Salem, OR, you'll find an impressive lineup of new Chrysler 300 sedans, Chrysler Pacifica vans, and even Chrysler Pacifica hybrid vans for the environmentally-friendly driver. Consider your driving habits. Are you a low-mileage driver? Do you not want to deal with high unexpected automobile repair bills? If you answered yes to any of those questions, leasing a Chrysler vehicle from Roberson Motors is a smart option. Give us a call today. 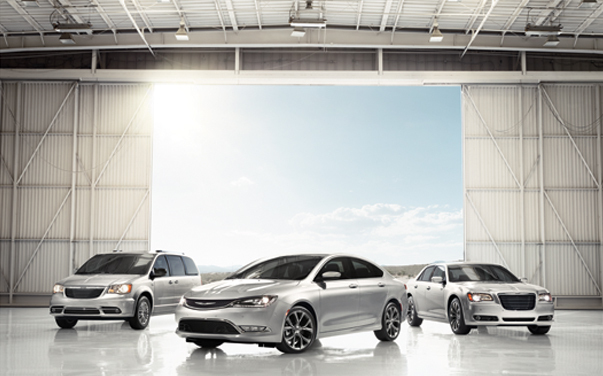 From vehicle trade-ins to traditional automobile loans at competitive prices, Roberson Motors in Salem, OR offers a range of financing tools to get you into your new Chrysler 300 sedan or Chrysler Pacifica van today. Give our financing team a call to talk about how we can help you finance your next vehicle. Our friendly auto financing professionals will do everything they can to help.